Cardinal Gianfranco Ravasi told a conference in Rome that priests need to avoid becoming ‘irrelevant’. A VATICAN CARDINAL has called on Catholic priests to inject some “scandal” into their sermons to avoid becoming boring. Gianfranco Ravasi, the Vatican’s top cultural official, said that priests need to spice up their sermons or risk becoming “irrelevant” to a generation used to the immediacy of television and the internet. The 69-year-old cardinal also praised Twitter and encouraged priests to make use of it, according to the Telegraph. Ravasi, who is the head of the Pontifical Council for Culture, encouraged priests to use the “scandal” in the Bible when delivering sermons and avoid using language that was “grey, dull and flavourless”. The Bible is “crowded with stories, symbols and images”, he said. Speaking to a conference in Rome, Ravasi said that the Catholic church needs to adapt to modern technology, saying that priests should remember that congregations were “the children of the television and the internet”. He suggested that Twitter could be used by priests to “deliver something in a flash, something primal”. 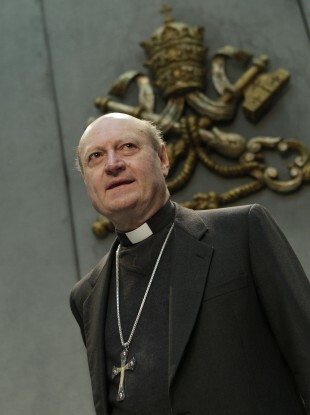 Ravasi was made a cardinal by Pope Benedict XVI in November 2010 and is seen as a champion of new media. He writes a blog for the Italian financial newspaper Il Sole 24 Ore.